We want you to make the most of your stay here, so read on for local treasures, the best restaurants and activities that make this area of Northland so special. Here we’ve got links to some of the best shops, the local vineyards and a few of things we like to do in and around Kerikeri. 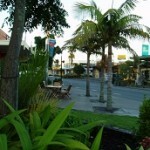 Kerikeri has a cafe’ culture and most of the cafe’s are within walking distance of the motel. Another favourite is the Rock Salt Bar & Restaurant, who offers a wide selection of food & drink. Rock Salt is relaxed and stylish and has comfortable surroundings ideal for meeting friends, dining out, live events and private functions. 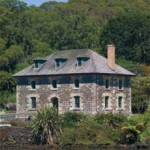 The Pear Tree restaurant and bar is an historic Bay of Islands landmark. The restaurant offers everything from a delicious brunch, coffee, casual drink and snack through to a la carte menu. Other restaurants such as Curry King, Shingo Thai, Cafe Jerusalem, The Italians and Cafe Cinema are also very popular with locals & tourists and only a few minutes walk from the motel. Be sure to visit Golly’s bookstore to renew your holiday reading in part exchange for those books you’ve finished with. Make sure you check out Kerikeri’s newly refurbished Cathay Cinemas. Keep an eye on The Turner Centre for listings of what’s on at Kerikeri’s main performance venue. Experience the richness of the Bay of Islands heritage with a tour of the area customised for you – take in the historic Stone Store and the iridescent Rainbow Falls walk; enjoy the rich chocolate of the Makana chocolate factory or step back in time to Rewa Village – a reconstructed Maori village that captures that atmosphere of pre-European times. A classic Northland trip is the Cape Reinga and 90-mile Beach tour. The coach will pick you up from outside the motel and give you a taste of the real Far North. Don’t forget the Farmer’s Market every Sunday, where all local producers sell their wares – be it fresh fruit and vegetables, specialist teas or locally roasted coffee. 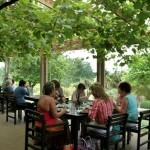 Then relax over a long Sunday lunch with live music at the family-run restaurant Food at Wharepuke. Kerikeri is blessed ideal for growing grapes, visit our fabulous local wineries including Marsden Estate, Cottle Hill winery and Ake Ake Vineyard – sample their wines and enjoy a meal.